Bathed in Hai Karate cologne and looking for a fight. You smell him before you see him. The guy taking your daughter to the prom. He drives the red AMC Matador, parked in your spot, in the driveway. Pimples, sideburns and a polyester leisure suit. Unassuming, but he's got no good intentions. He smiles, a bit too assuredly, as he thinks of the fun times ahead. Your face reddens and the light that glows in the back seat of that Matador is all you can think about. "My innocent daughter in that ..."
Get a grip, man! That flashback to 1974 was just a dream. 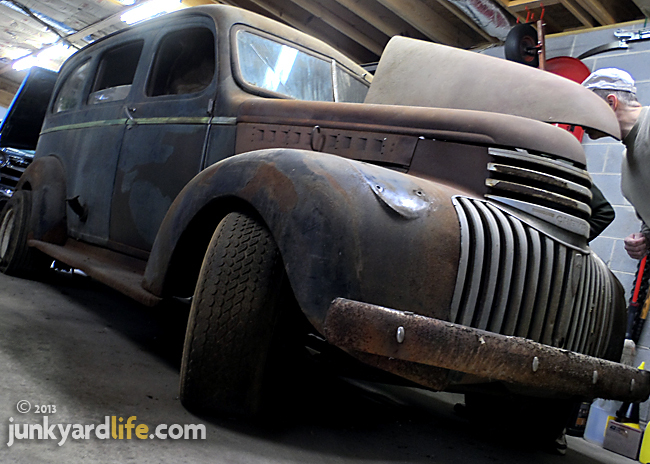 You know that all the AMC Matadors have gone to hell, or a junkyard. The AMC Matador coupe was produced from 1974-1978. Advertisers will tell you that "newer is better." That mantra helped sell the new-for-1974 Matador coupe. The ambitious shape of the Matador did not grab buyers for the long haul. The majority of all AMC Matador coupes were sold in its first year, with 62,269 of the nearly 100,000 built during its five-year production run. 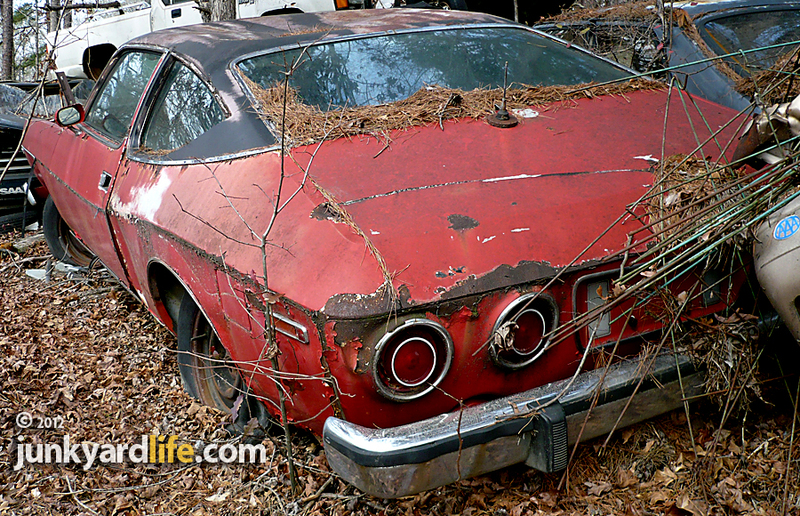 The "new" wore off fast on AMC’s flagship mid-size, luxury coupe. The unmistakable styling, lured, then repulsed buyers as sales dwindled to 2,006 units during the 1978 year model. 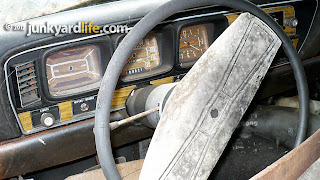 AMC spruced-up the dash with wood grain on the face of the gauges. 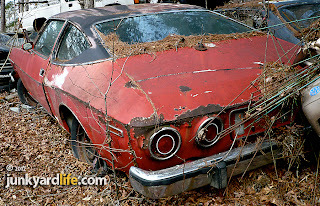 It was not surprising when we learned our feature car, spotted at Gibbs Salvage in Ridgeville, Alabama, was a 1974 model. The bold, Trans-Am Red AMC paint clinging to the Matador wasn’t the only thing that caught my eye. The funky, quarter windows and round tail lights have just enough European-flavor, to make you squint, if your not familiar with the Kenosha, Wisconsin-built Matadors. 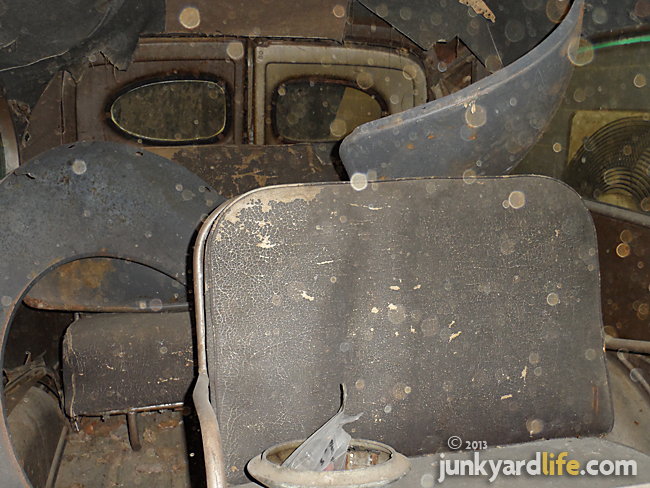 This junkyard bullfighter was missing its drivetrain, hood, radiator and grille. All these wear/crash items are possibly helping to complete one of the rarest and financially negligent restorations of any kind. The Matador. We hope the hood, grill and engine of this Matador were sourced for project cars. No prom dates were harmed while writing this story. 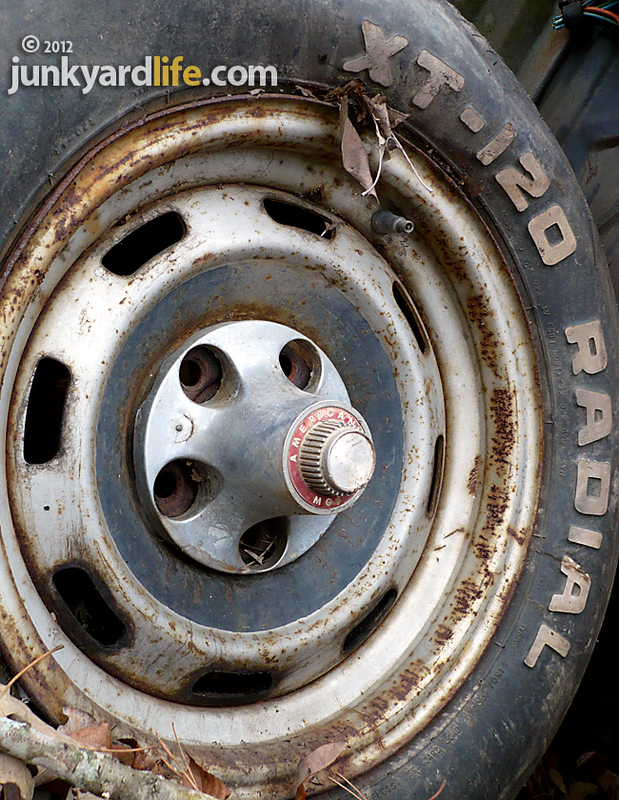 AMC’s Matador wheels feature center caps that extend well beyond the edge of the rim. Reminds me of the wheels used in the movie "Grease." Remember the Scorpions’ Mercury had blades on the wheels? AMC Matador coupe production numbers. Gary Bryson, Molly Designs and Buick Special Products Group, led by Herb Fishel, developed this 1976 Buick Century turbo. 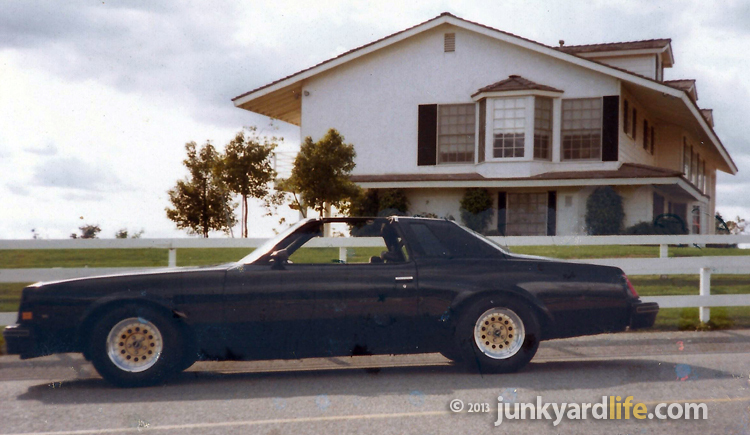 It was the first, black, V-6 turbo Buick — heir apparent to the Grand National. Just call it Darth Vader's father with attitude. 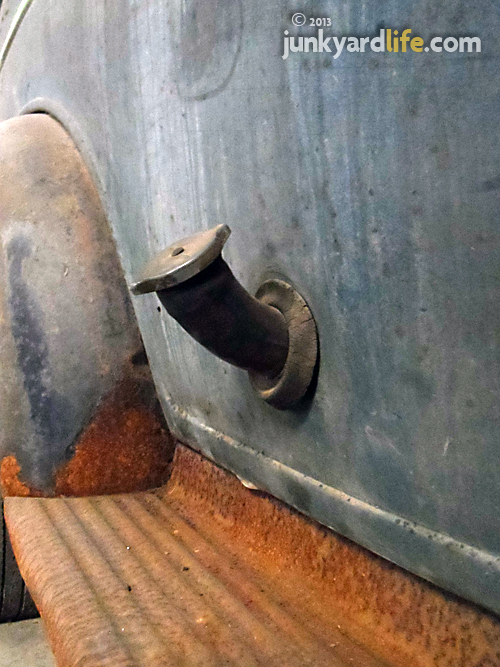 Before black Buicks were famous, a teenager held the keys to a sinister Century. Dan Bryson was a grunt working at famed Molly Designs in Southern California when Buick decided to get back in the muscle car business. The year was 1976, when this menacing, turbo V-6 Century was a project car built by Dan Bryson's dad, Gary, a Goodyear racing tire rep and future "Car Craft" publisher. Buick's performance chief, Herb Fishel, provided factory support for the project in hopes of attracting younger customers to the stale Buick brand. Kenne Bell provided the turbo, the guys at Molly, including Dan, hand-built the front bumper, added a bulging hood blister and laid down the wicked black, gray and orange paint work. 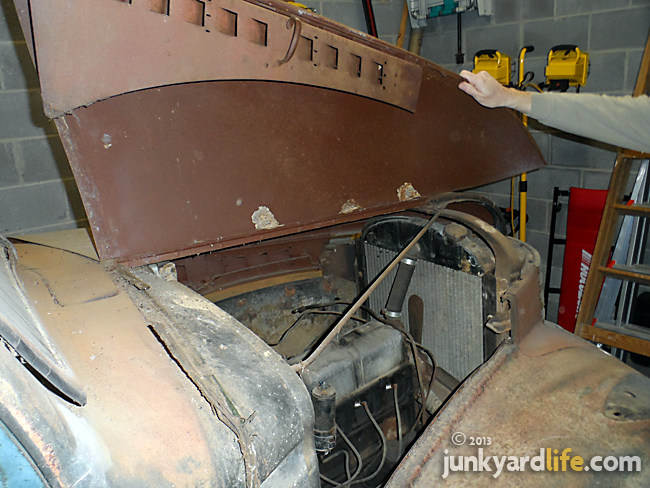 Jim Bell, of Kenne-Bell, performed the lion's share of all the mechanical work on the Buick. The result was a badass, turbocharged Buick Century that foreshadowed an Indy Pace Car and blacked-out Buick Regals, known as Grand Nationals from 1982-1987. "That turbo V6 just smoked the tires, no matter how fast you were going," Dan said. Dan's dad tossed him the keys in 1979. Ten years later he sold it to a man in Costa Mesa, California for $2,500. Now, Dan wants his black Buick back. The 1976 Buick Century’s prototype 3.8 liter engine with a Kenne Bell turbo. After the Buick was shown to the suits in Detroit, GM destroyed the engine. Bryson replaced the engine with a stock 231-V6. Bryson's 1976 Buick Century turbo was a magazine car featured in the Jan. ’78 issue of "Popular Hot Rodding." Dan Bryson got his start at Molly Designs, near Irvine, California around 1970, when he was 13 years old. Dan's dad, Gary, got him the job. 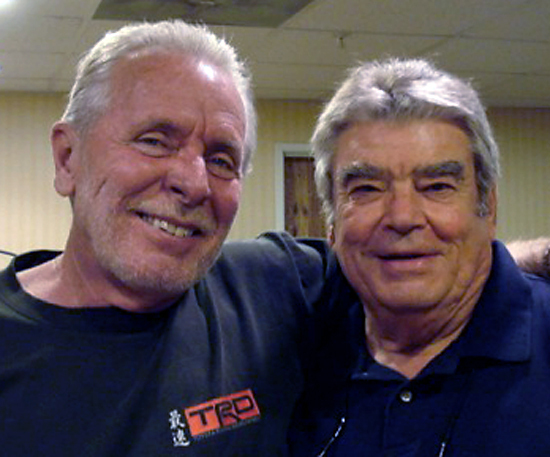 Gary was well-connected in automotive circles and had introduced painter and designer Rollin "Molly" Sanders to Yamaha in the late 1960’s. Molly built dozens of magazine project cars and was responsible for creating color schemes, body modifications and graphics for Yamaha, Kawasaki, Toyota and GM. That friendship/business relationship led to Dan’s youthful employment at Molly during its heyday. Dan lived cars and motorcycles. "I started working for Molly during summer break, sanding two-tone paint jobs," said Dan. "Then I began painting Yamaha bikes and helmets. I worked on and off through the years for Molly on special projects." Custom paint and graphics on motorcycles, race cars and factory-backed magazine projects were the norm at Molly. Rollin "Molly" Sanders, left, and Gary Bryson read "Hot Rod" at magazine mogul, Robert Petersen's 400-acre ranch in 1971. Fishel, in an effort to boost his reputation at GM, gave the go-ahead for Molly to give a new Buick Century some flash. Molly didn’t disappoint. Custom hood and bumper designs were so influential, that they were seen on the 1976 Buick Century Indy Pace Car used at Indianapolis Motor Speedway in 1976. Dan doesn’t remember the exact date of the turbo Century build, but he believes it pre-dates the Indy Pace Car. "It was the prototype for the pace car," Dan said. "The response from the Century and Pace Car were so positive, that spun off into the 1983 turbo Regal project." That makes Dan's car one of the most important Buick prototypes ever built. The hard work began after a new black Buick Century was delivered to Molly's shop. "Me and my partner at Molly, Tony Olshefski, reworked an aftermarket hood to get all the imperfection out," said Dan. "The bumper was made from scratch. 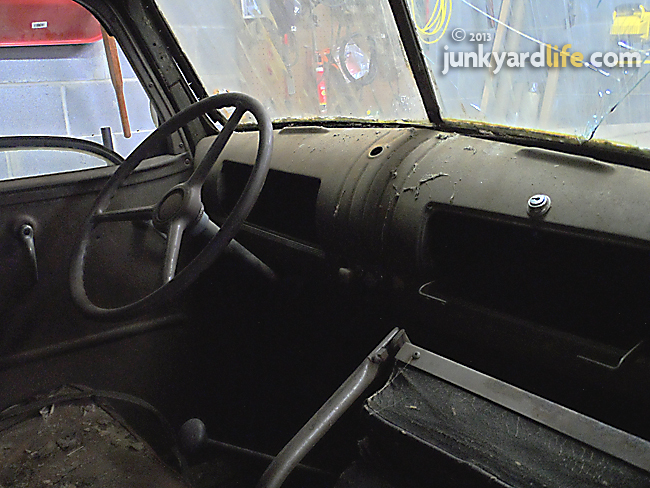 We took the bumper off and started with 1-inch by 1-inch wood, framed the license plate and started laying fiberglass." After the body was prepped, the bumpers received the blacked-out chrome treatment. "A first at Molly." Distinctive striping was the next order of business. 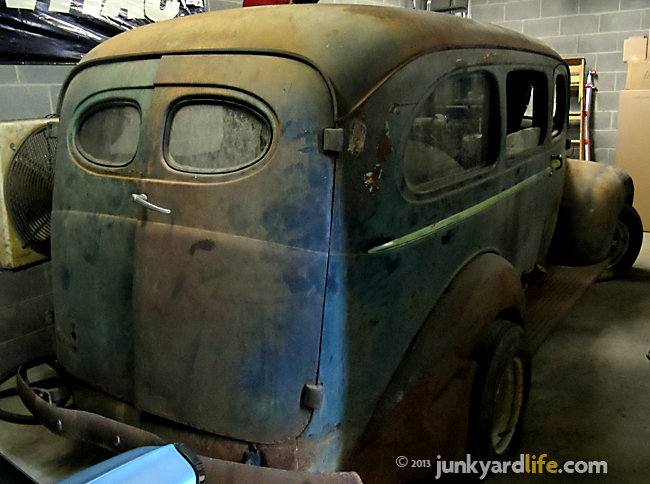 "At first we were in the shop laying down 1/4-inch lines and knocking ideas around. We thought this was way too wild for Buick." said Dan. But Herb Fishel loved it. "It put him on the map, big time at GM." Dan later worked on the red 1983 Street Regal, which was one-of-two T-Type Regals, one black, one red, commissioned by Herb Fishel to develop what would become the Grand National. This Molly-designed turbo Buick Century heavily influenced the 1976 Free Spirit Indy Pace Car. Hood and bumper are exact knock-off. "After the Buick's moment in the spotlight was over, we had to ship the all-aluminum V6 turbo engine back to GM," said Dan. The engine was provided by Bill Mitchell's R&D group. 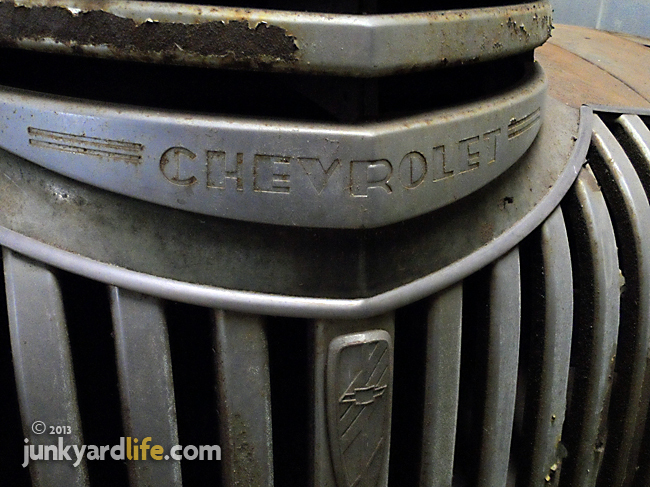 Like many one-off factory freaks, this engine had to be returned to GM, where it would be destroyed. 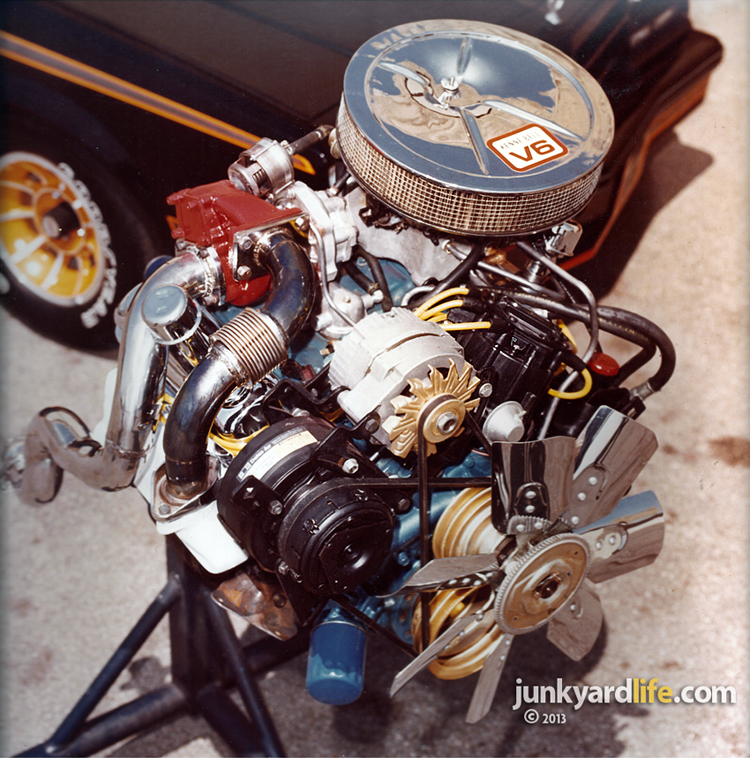 Jim Bell, founder of Kenne Bell, and Dan's dad had other ideas for the engine before it was cut in half. Fishel stated that the engine could be returned in any shape, just as long as it was returned. "Well my dad and Jim stuffed it in an Olds Starfire and ran it at Irwindale Speedway. They closed off the blow-off valve and gave it about 30 pounds of boost. They had some fun for a while, until it blew," said Dan. "Dad said it sounded like a bag of tin cans. Herb cut it in half and back to melting plant it went." Gary Bryson at the wheel of the just completed Buick Century turbo in 1976. The stock hood replaced the custom steel unit with the hood blister after the magazine photo shoot. 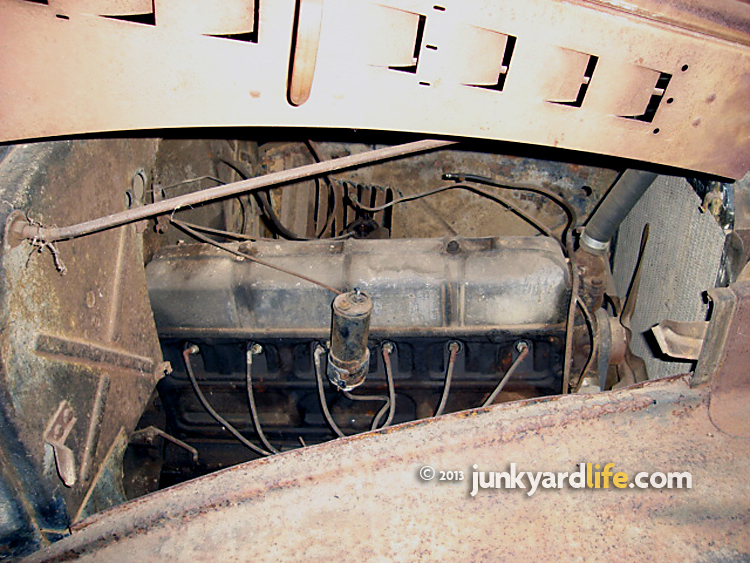 A stock Buick 231-cu.-inch V6 was dropped into the Century’s vacant engine bay. The Turbo 400 transmission with a switch pitch torque converter remained. Dan Bryson's dad, Gary, turned the now turbo-less 1976 Buick over to him around 1979. "My Dad gave me the car just to get it out of his garage," said Dan. 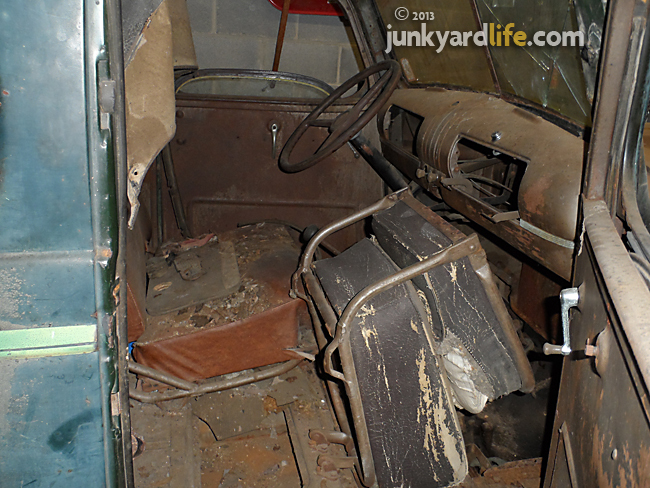 "He wasn’t a big fan of GM products (during that era) because the doors were so long and heavy. 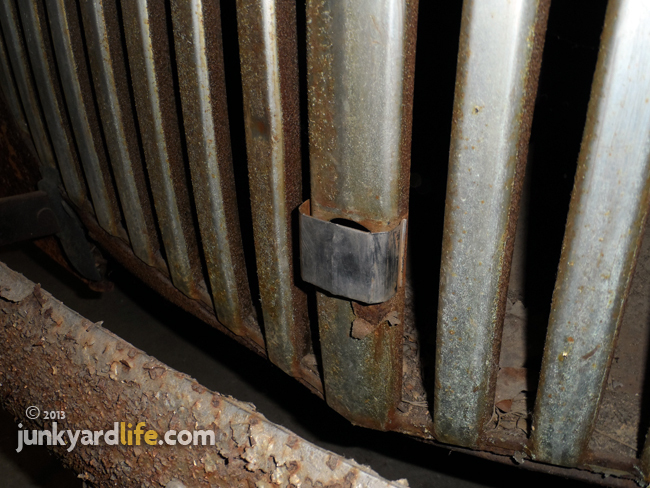 After you got a few miles on those cars, the hinges would sag and then the doors would drupe and hang-up on the latch." More Grand National cues develop on the first turbo Buick after a Corvette wrecks the Century in 1980. Bryson's Buick underwent a transformation after a drunk driver in a 1973 Corvette smashed into the driver's door. 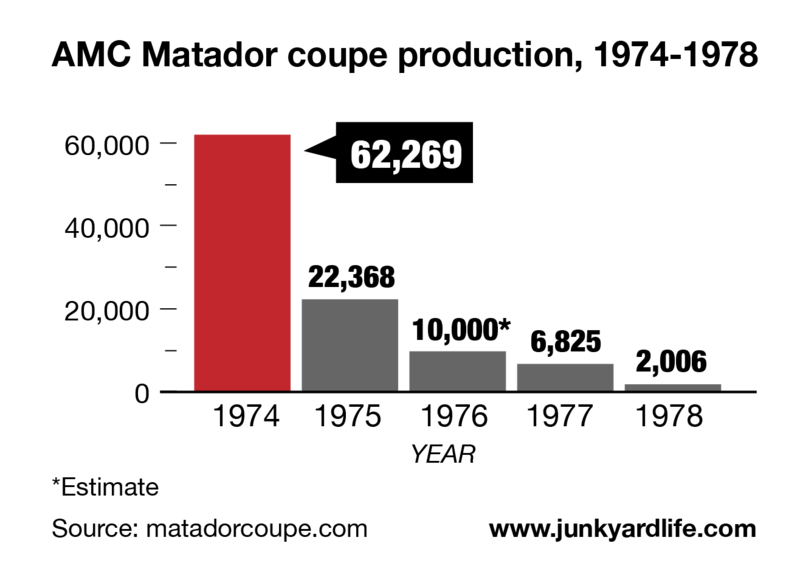 The Corvette owner was notorious for DUIs in Portland, Oregon, where the wreck occurred. It was his seventh DUI, all in Corvettes. Replicating the Molly designs on the Buick were not a priority after the accident. A solid black coat of paint, t-tops and gold Enkie wheels were added to the Century. "The old man didn’t much like the t-top’s, but your a 20-year-old, living in New Port Beach, California," said Dan. "This thing was a babe magnet." Dan hauled the car, along the west coast, while he worked at several Goodyear stores. "I worked at the Hillsboro, Oregon Goodyear store. The Oregonians didn’t know what to think of me and the Buick until they saw that it was from California," said Dan. In 1989, Dan sold the Buick just before his family moved to Sacramento, California. "I sold the car to a guy in Costa Mesa for $2,500," said Dan. Molly Sanders, left, and Gary Bryson in 2010. Molly died May 16, 2010, after a struggle with cancer, at 66 years old. 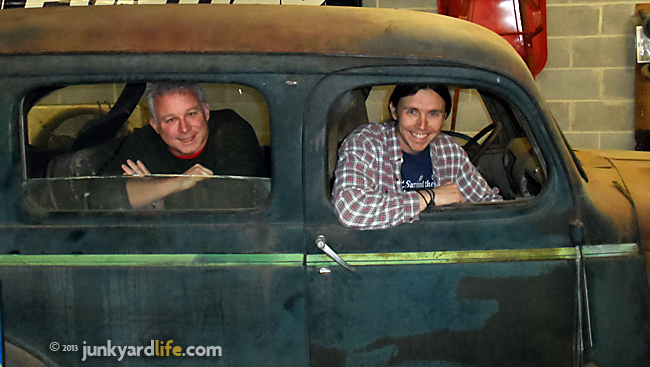 Dan had a blast driving the big Buick with the turbo. "I could be doing 70 MPH on the freeway and punch it," said Dan. "Smoke the tires BIG time!" 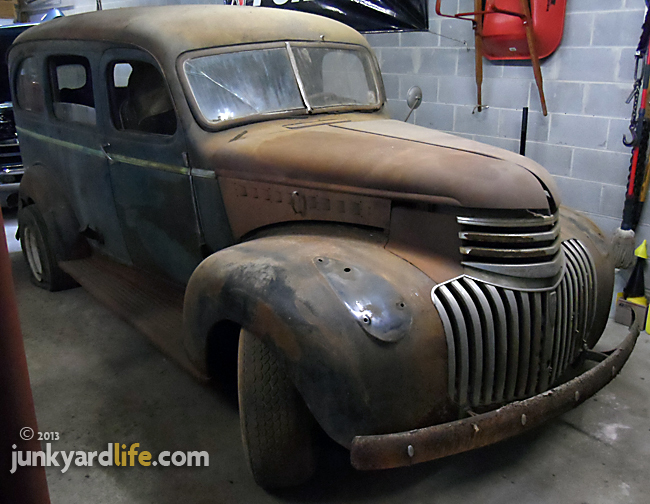 The Century was motivated by a 3.8 liter Buick block with aluminum heads and a Kenne Bell turbo. To this day, Dan and his dad, Gary, reminisce about the day that the transporter pulled up to deliver the black turbo car to GM in Detroit. "Molly, my dad, Tony and I had pulled an all-nighter on it," said Dan. "The sun was just coming up and we were pulling the masking paper off the car when the truck drove up. It was a great father-son moment. 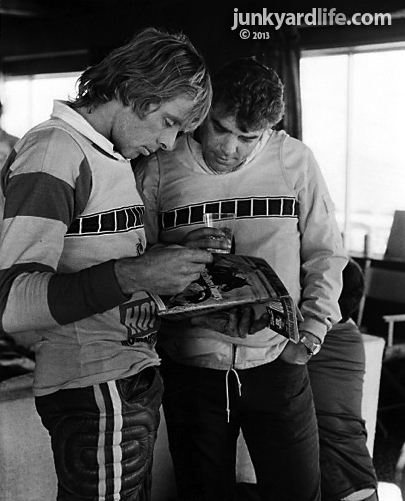 I had worked on ton’s of other magazine car projects with Molly and dad, but this was one of the most memorable." Dan Bryson is looking for this car. A 1976 Buick Century with t-tops, it played a unique role in Buick history. Last seen in the Newport Beach/Costa Mesa area in California. Dan Bryson wants to find the car that ties him to a chapter in Buick's turbocharged history. 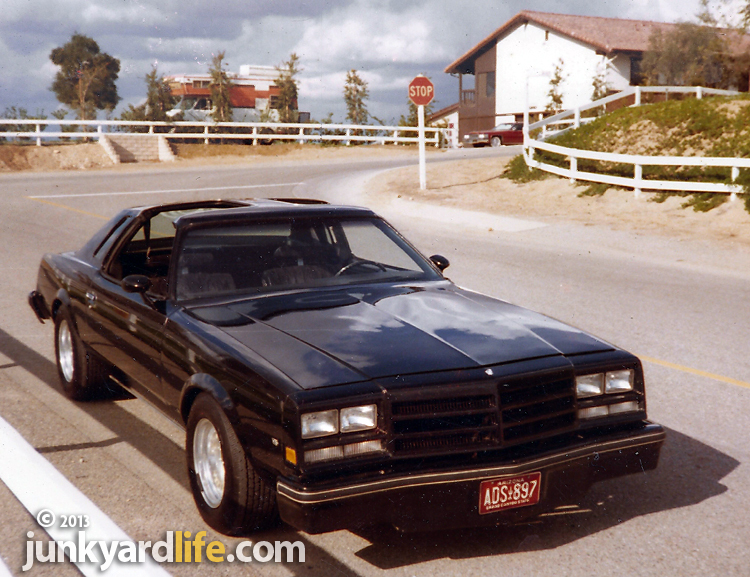 The first black, Buick turbo. 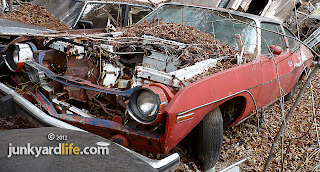 If you know where Dan Bryson can find this 1976 Buick Century or you own it yourself, send an email with the details to Dan at dan@chemfreeair.com and junkyardbull@gmail.com. If Dan can't locate the car, he plans to recreate it. 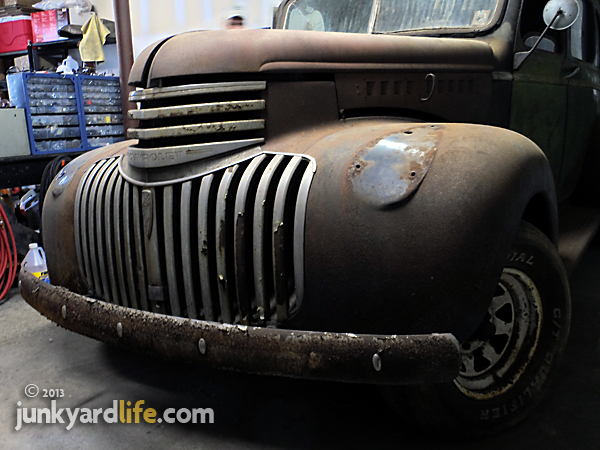 "I’m going to do the paint, bumper and hood all over again," said Dan. 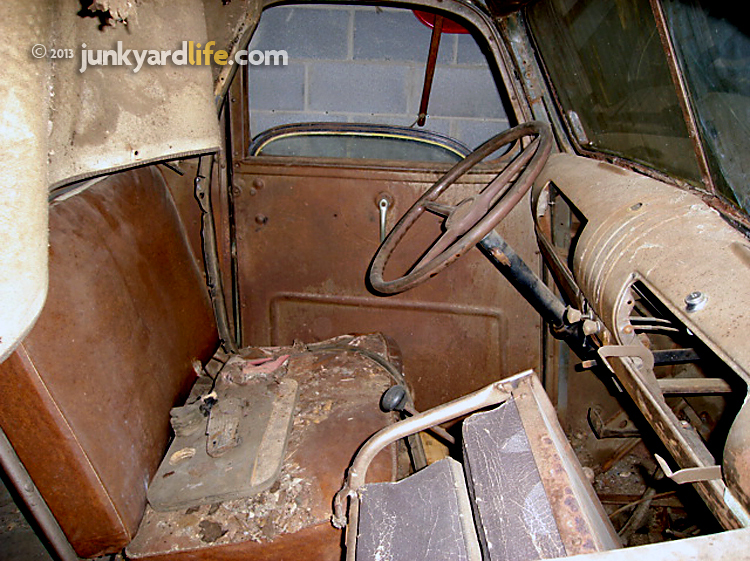 "Now the kicker here is finding one with the black velour interior and bench seat." His Century was delivered to a Buick dealer in Pomona. "It also came with a factory Buick CB radio with an antennae mounted on the trunk and a wood grain dash." Even if Dan does or doesn’t locate his car, he may become the driving force of a back-to-the-future Grand National trend. 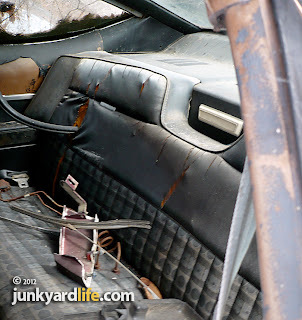 Could we start seeing an upswing of 1976-1977 Buick A-bodies restorations? I hope so. Molly designed the "Turbo-6" logo that first appeared on the 1976 Century’s flanks and continued onto the Buick Grand National models. Molly custom blended the orange and yellow pinstripes that outlined the gun metal gray metallic design on the 1976 Buick Century turbo prototype.